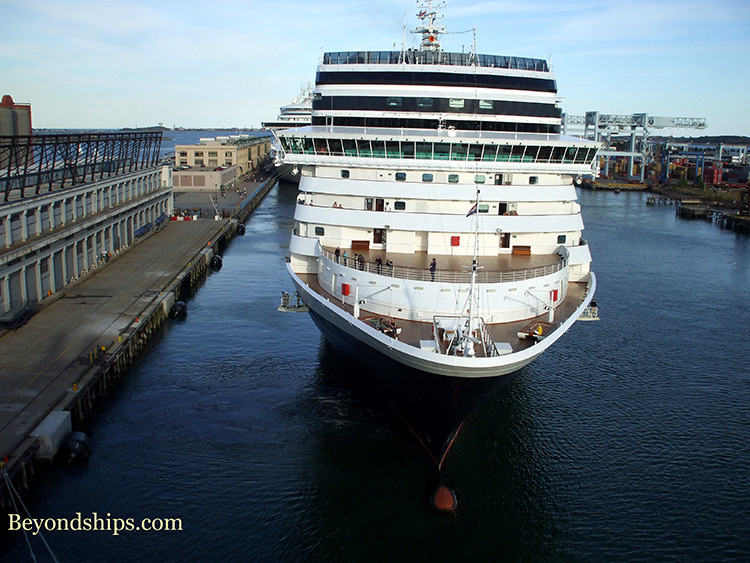 Most cruise ships calling at Boston and cruise ships embarking from the city use the Black Falcon Cruise Terminal. 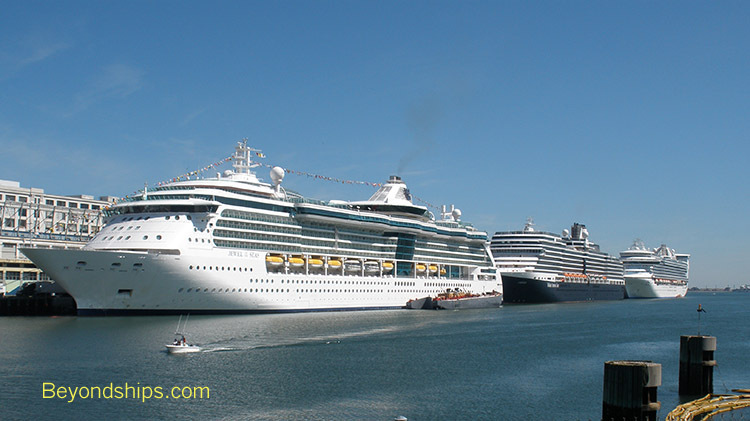 (Some ships, however, berth in Gloucester, Massachusetts, a suburb of Boston). Black Falcon has recently undergone an $11 million renovation and is capable of handling several cruise ships at a time. 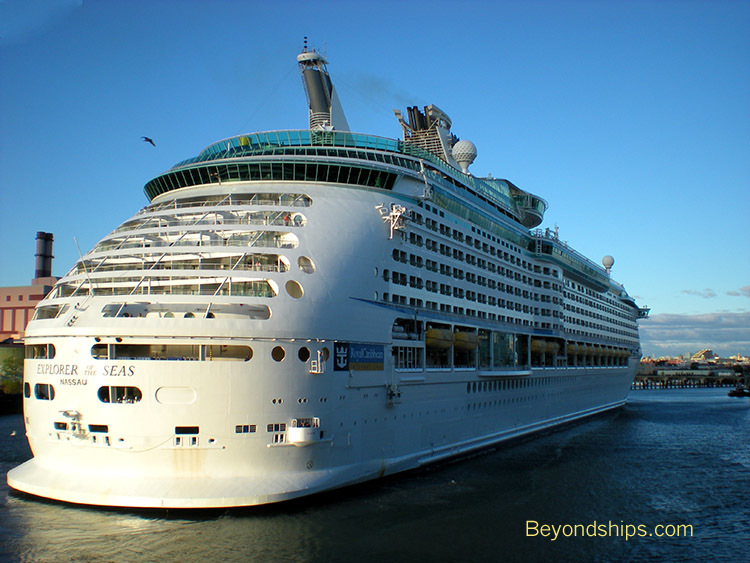 There are more than 100 vessel calls and some 300,000 passengers pass through each year. terminal to these points but it is a long walk. Most cruise ships run a shuttle bus into town. There are also taxis outside the terminal. The cruise port also has a parking garage. 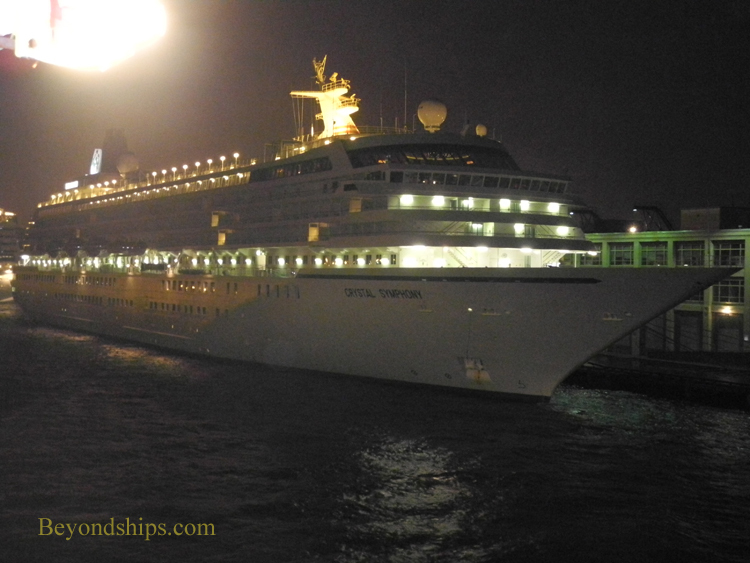 Until recently, there was not much of interest around the cruise port. However, the area between the cruise port and downtown Boston has seen a construction boom. 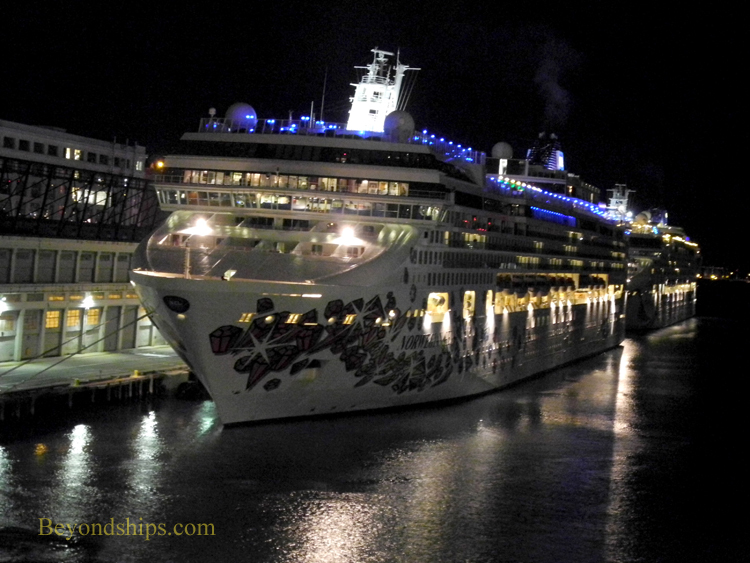 As a result, there are a number of major hotels and restaurants not far from the cruise port. from the ships docked at Black Falcon of the planes taking off and landing at Logan. A body of water separates the airport from the cruise terminal. 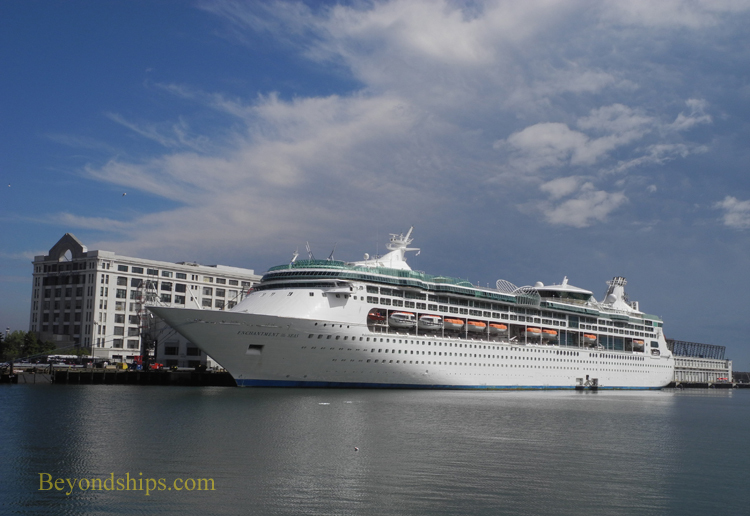 Above: Explorer of the Seas arriving at the Black Falcon Terminal. Below: Eurodam departing from the same terminal. 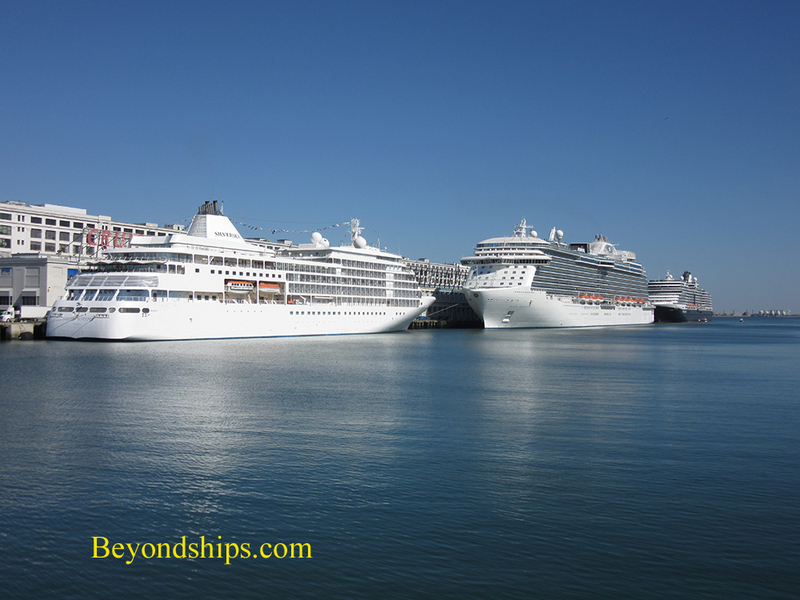 All in Boston: Norwegian Gem and Norwegian Dawn (above); Enchantment of the Seas (left); Crystal Symphony (below left); Silver Whisper, Royal Princess and Eurodam (below). Historic Boston is a very walkable city. In fact, the city has marked out a route called The Freedom Trail with a red line on the sidewalk that connects many of the historic sites. surrounding Boston. The Old Town Trolly does hop-on, hop-off circuits of the historic sites. 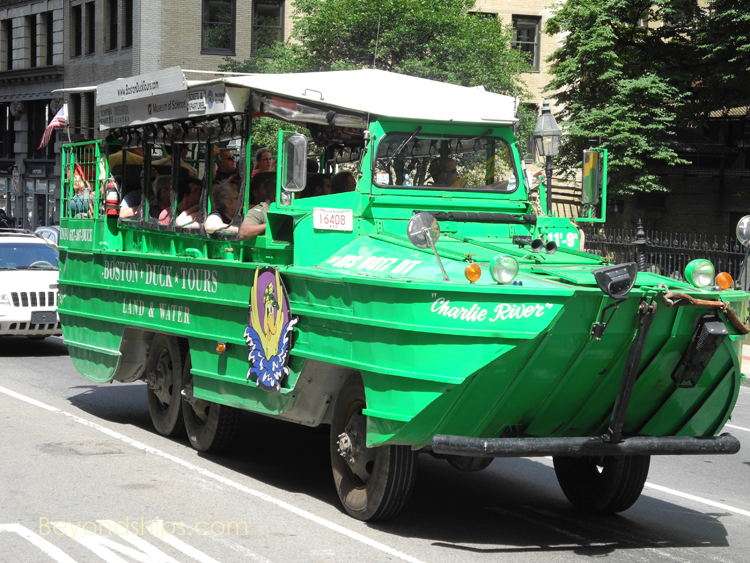 Several other companies provide more traditional bus tours. regulated by the police department and are usually available at the Black Falcon Cruise Terminal.